With the summer warmth gone and the crisp fall air coming, it only makes sense that a staple in your wardrobe would be a jacket. Fashion label, Zegna has decided to make the transition from summer to fall easy with its sport jacket, which happens to be Bluetooth enabled. The sport jacket has all the major and classic components of Zegna’s style. The only difference is that it is tech infused. Coming in a red or navy color, the sport jacket comes with Bluetooth. There are controls installed into the sleeve, along with a joystick to ensure that you don’t have to take out your phone from your pocket. 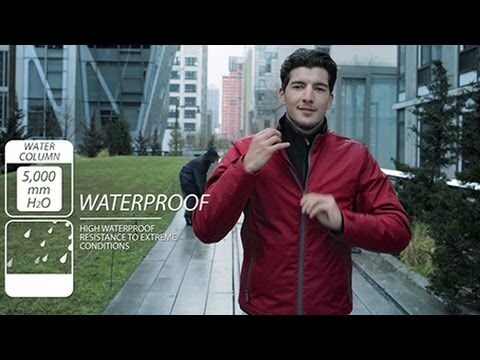 It’s as easy as connecting to your phone, threading your headphones through a hole in the jacket and you can be hands-free. This is a subtle, yet incredibly practical way for fashion to be integrated with technology.